Compatible with 2.5", 2.25" and 60 mm Coilover springs (included). 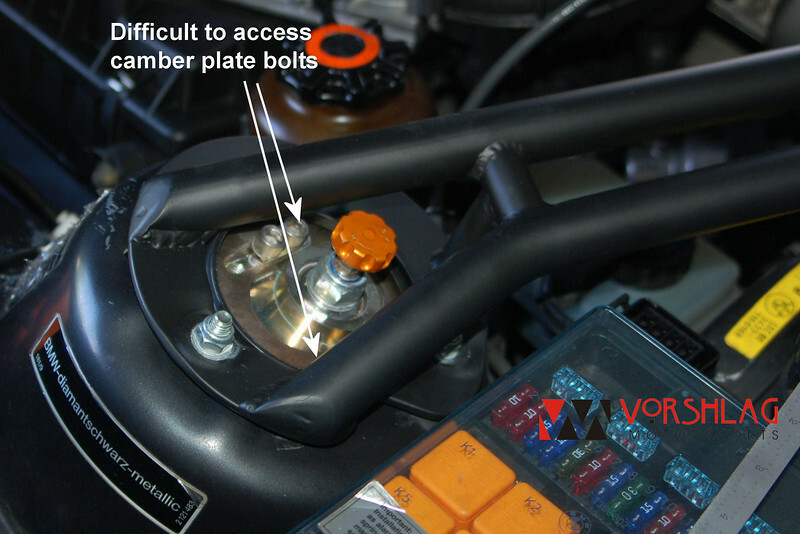 For a small additional charge they can come with modified Vorshlag OEM style upper spring perches. Compatible with all strut brands and types. Don't see your strut model in the options? Drop us a line and we'll design a set-up for you. Plates are designed specifically for the R53 MINI chassis. 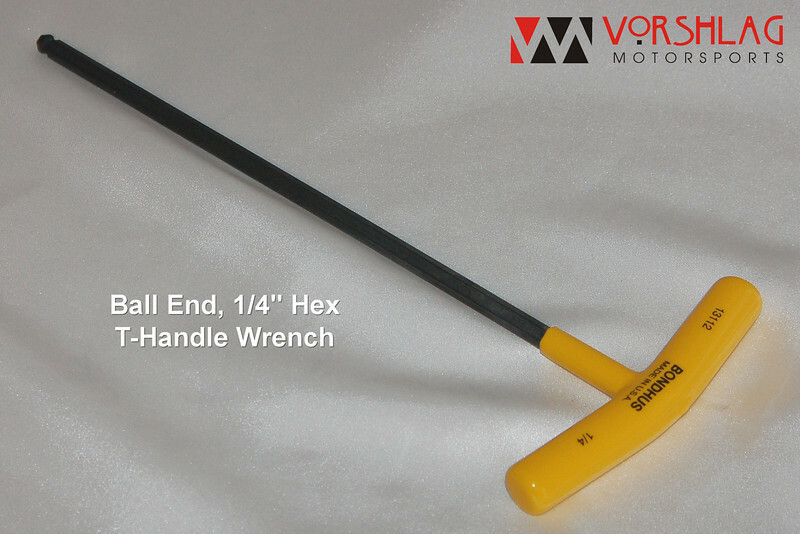 Camber is easily adjustable at the track from the engine compartment with simple hand tools (1/4" ball end hex nut wrench). Takes seconds per side. There is no change in ride height from the OEM upper mounts (stack-up height is 51mm vs 53 for the stock tio mount + perch). 100% CNC machined, alloy steel bearing holders - Tough as a German Tank! Red anodized aluminum CNC machined main plates engraved with Vorshlag logo, "R53 MINI" and proper orientation. Vorshlag Upper spring perches included (see "Spring Perch" drop down option menu, below). Spring Perches: Please pick the spring perch diameter that works with the springs you have. Coilover springs typically come in one of three diameters: 2.25", 60mm and 2.5". If you have stock or "lowering" springs choose the "OEM" spring perch size from the menu below. Strut Style: Please pick your strut brand and sizes from the drop down below. This helps us build the spring perches to fit your struts with a tight tolerance and no slop - for quiet, reliable use. If you do not know what struts you have please have a reputable shop inspect them, as most mechanics can spot the differences with a quick look. There are also new struts and updates to existing models that come out from time to time. If your strut is not listed, please pick the "Other" option and let us know what brand and model struts you have in the order notes.